Six whole years before Bob Kane and Bill Finger first gave birth to 'The Batman'; some chap in a dark overcoat took a-hold of this name and garnished it on a 71 minute movie made in 1933. Yes. It is this one, folks. 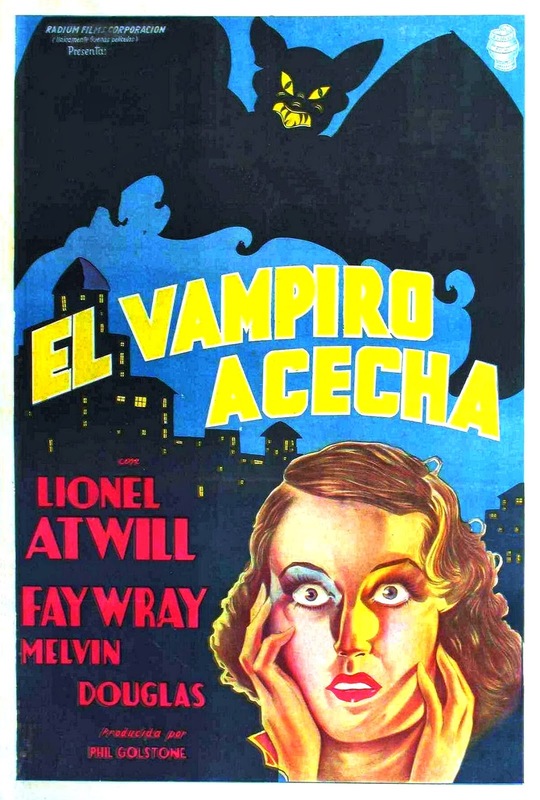 This one Directed by Frank R. Strayer; and Starring: Lionel Atwill, Fay Wray, Melvyn Douglas, with Maude Eburne. OK. I know what the local townspeople are trying to say. They're trying to explain to me that a vampire bat is stalking the vicinity, and sucking the life out of whomever this dastardly creature comes into contact with. But I don't believe them you know. No. No I don't. For I am the lawman who's in charge of protecting this Gothic berg! Me. Karl Breettschneider (Melvyn Douglas). You might know me as being the close personal friend of Ruth Bertin (Fay Wray). As well as being the ever so diligent ally of the local town's doctor, Otto von Niemann (Lionel Atwill). Huh? Wait a minute! What's that sound? No. Don't tell me! Don't tell me that the doctor's elderly patient has suddenly been struck down by dubious means? Leaving two sinister looking bite marks protruding from her neck! Oh, sh*t! You know what I've got to do now, don't you? I've got to look into this matter more closely, even if my dear old Aunt Gussie (Maude Eburne) thinks she's knocking on heavens door. Still. I suppose that's why what next transpires begins when Herman (Dwight Frye) -- the local bat-nutter -- gets accused of murder, and jumps off of a very big cliff. As blood drips into a vat - the local townspeople become scared like a cat - a Doctor should never be doing that - and as the day slowly turns to night, please remember, the bad-guy isn't a vampire bat. 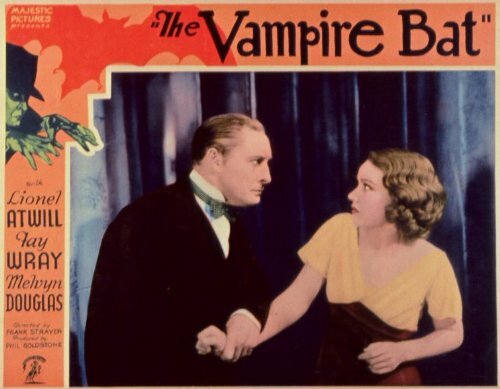 I've been meaning to sit down and watch 'The Vampire Bat' for quite some time now. About four or five months ago a friend of mine on facebook suggested I should watch it, because she defined this film as being one of those films I might find quite surprising due to my own historical knowledge in this area. And I was you know. I was very surprised with what I saw. Not because of the story in itself. No. That was rather 'run of the mill' I thought. Plus some of the actors were a bit wooden in places, and didn't flow along with conceptual narrative, which floundered around, and came across somewhat slow compared to what I'm normally used to. You see, what surprised me the most about this film, was that it's presentation did seem way ahead of it's time, because it was able to tell a somewhat atmospheric and simple tale, and still spread a bit of character and suspense into the mix in equal measures. Alright. I know that some of you out there who've watched this film might be wondering what I actually mean by my this. Well, you have to remember this movie was made in 1933. And although during this era things like production values and editing were in it's infancy, I personally thought how this movie was spliced together with that nifty wiping effect, plus how it was framed and lit, where something to be applauded. Bar none. Yeah. I'm not kidding. I hardly have anything negative to say about this adventure at all. If anything, all I can say is to stand back, and get ready for some filmic-facts. (1) 'Majestic Pictures' first released this production on the very same day that the Indian novelist, Gurdial Singh, was born -- the 10th of January, 1933. (2) Loosely translated, this project was entitled 'The Vampire' in Italy; 'The Vampire Invincible' in Portugal; and 'Tragic Shadows? Vampires?' in Spain. (3) The majority of this movie was shot at 'The Court of Miracles' Backlot, Universal Studios, California, as well as the Bronson Caves, Bronson Canyon, Griffith Park. (4) If you look very closely you might have noticed that some of the sets seen in this horror classic came from somewhere else. For instance, the 'German Village' was the same one seen in the 1931 Boris Karloff masterpiece, 'Frankenstein'. Where as certain interior locations can be seen in the 1932 thriller, 'The Old Dark House'. (5) When this film was reissued in America years later, for some strange reason it was given the two titles, 'Blood Sucker' and 'Forced to Sin', respectively. (6) Do you know what? I have a feeling that the director of this film, Frank R. Strayer, has a thing about blonds, because he's made fourteen films with the word 'Blondie' in its title. Such as, 'Blondie for Victory', 'Blondie's Blessed Event', 'Blondie Goes to College', 'Blondie in Society', 'Blondie Goes Latin', 'Blondie Has Servant Trouble', and many-many more I care not to Blondie. (7) 'Majestic Pictures' had two very clear reasons why they wanted to make this film to begin with. 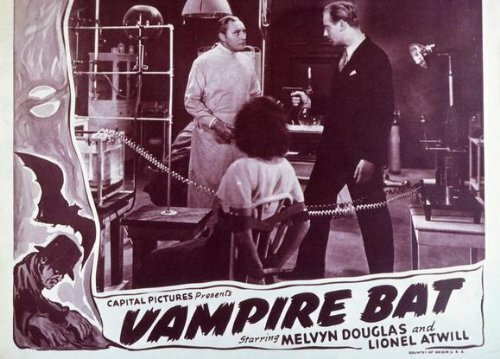 Firstly, they wanted to cash in on the success Fay Wray and Lionel Atwill had with 'Doctor X' in the previous year. And secondly, they had a sneaking suspicion that if they released it prior to Fay and Lionel's next movie for Warner Brothers, 'Mystery of the Wax Museum', it would most probably do well in the theaters. Of course, they were correct. 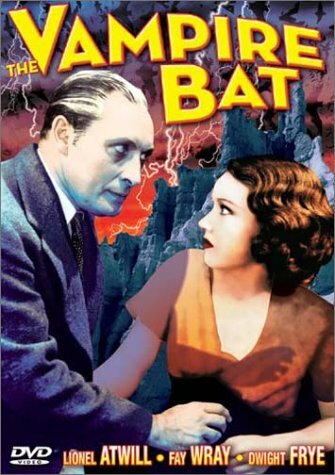 (8) After this flick fluttered out of its belfry, Lionel Atwill starred in the thriller, 'The Secret of Madame Blanche', Fay Wray starred in the adventure, 'King Kong'; and Melvyn Douglas starred in the drama, 'Nagana'. 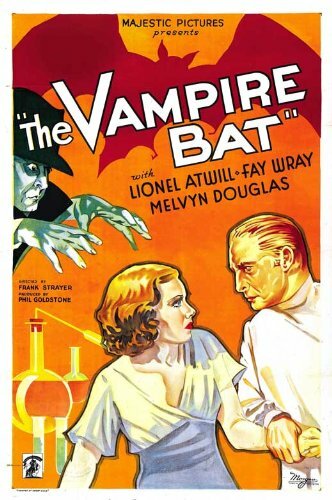 Overall I'd say that 'The Vampire Bat' was a very good film for its time. Admittedly, the acting may appear rather wooden compared to today's standards. As for the rest of it though, well, it's was a pretty good and suspenseful yarn. And is a must watch for anyone who loves timely films and Dracula themes stories.